Fellowship Reviews: For What It's Worth: Who Makes Up Marvel's Trinity? For What It's Worth: Who Makes Up Marvel's Trinity? In order by chronological order: Superman, Batman, and Wonder Woman. All have stand the test of time, all very popular, and easily identifiable. You look at a picture or drawing and you know who that is. I'm not sure where the whole Trinity thing came from, but it's pretty much accepted that these three are DC's Trinity. 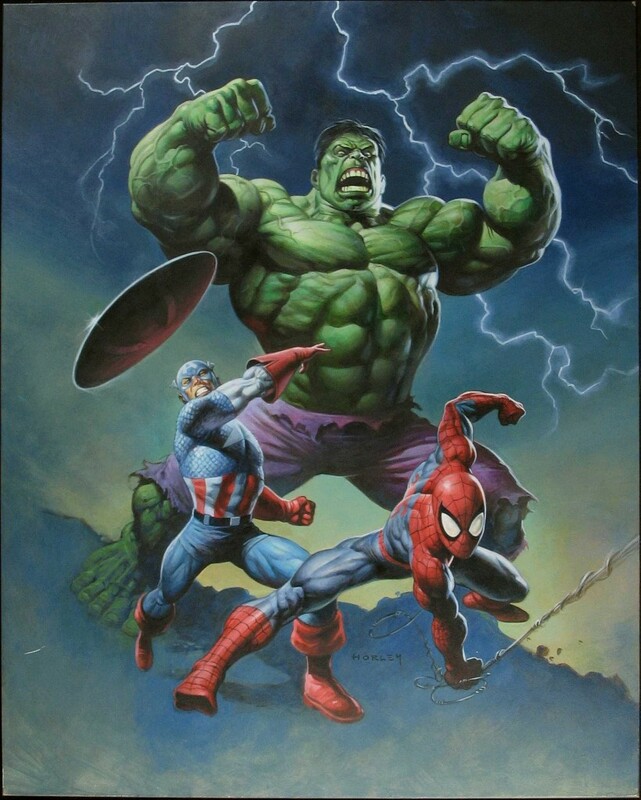 Longevity - Here is a list of heroes that have been going strong since the 60's: Spider-Man, Daredevil, Iron Man, Hulk, and Thor. Captain America came back in the 60's and has been around since. I do not include the Fantastic Four or original X-Men as they were more known in the group than a solo character like the others (and the DC Trinity). Popularity - Well, the above characters still fit, but the likes of Wolverine, Punisher and Deadpool are just as popular. All have solo books and even movies (well, Deadpool's movie is on the way). Easily Identified - Once again, the original list (Spider-Man, Thor, Captain America, Daredevil, Hulk, Iron Man) fits. Wolverine might be on this too because he is highly visible. Punisher and Deadpool, while identifiable in the comic book world,aren't so much to the general public. So....with all that said, who would I say would make up Marvel's Trinity? Cap/Supes - the natural leader that everybody aspires to be. Well, for what it's worth, that's my trinity. You agree? Disagree? Have other suggestions?